I regularly listen to a number of podcasts and below is a list, along with some comments, of the electronics related ones. I find that the podcasts provide inspiration, insight and knowledge about tools, projects, parts, companies, people and resources in the world of electronics. I first learned about many of the building blocks, components and development tools I use in my hobby projects (and sometimes professionally) through these podcasts. Chris Gammell and Dave Jones (of the EEVblog) chat weekly either with each other or guests about industry news, hacker/maker/open hardware stuff or other things mostly related to electronics. Chris is currently a cosultant and also teaches the online course Contextual Electronics while Dave is an opinionated and quite successful youtuber. If I need to pick a favorite electronics podcast, this is it. Started in 2013 this is another weekly show, but more geared towards embedded software than electronics, although some of the guests are more into electronics. Elecia and Christopher White discuss between themselves or with guests about “the how, why, and what of engineering, usually devices.” The guests include “makers, entrepreneurs, educators, and normal, traditional engineers.” Both Elecia and Christopher are embedded software consultants in Silicon Valley. Well worth a listen if you are into electronics or embedded software. SolderSmoke is mostly about home-brew HAM radio. Hosts Bill Meara, M0HBR, and Pete Juliano, N6QW, discuss their radio projects and issues they run into. This is the show for anyone who is interested in home-brew radio or perhaps HAM radio in general. MacroFab describes the idea behind the company as “[…] to disrupt the contract manufacturing industry by developing a software driven approach to make it faster and easier than ever to bring new electronic products to market.” They seem to specialize in small volume PCBA manufacturing. 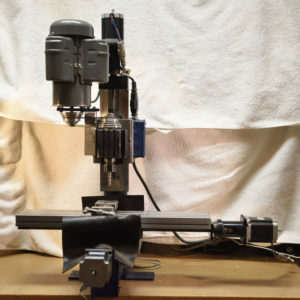 The weekly podcast was started in 2016 and is hosted by Parker Dillmann and Stephen Kraig who are engineers at the company (except Stephen has left Macrofab, but remains a host of the show). They mostly talk enthusiastically about projects they are working on (they seem to do a lot of fun projects, often with unclear connection to the business) and discuss industry news. The program can be quite inspirational and does not feel like an ad for MacroFab. A little warning might be in place. Of the podcasts listed here, I get the impression that this is the one on which the hosts are most likely to sound relatively sure about something that is utterly wrong. It seems to have gotten a little better over the years, but still this warning may be relevant. This podcast is new since the previous list. Ontrack is a podcast produced by the EDA tool company Altium. The host Judy Warner is enthusiastic about the industry and brings on various guests from the PCB industry. Mostly it does not feel like ads for Altium (full disclosure: I have been using the Altium Designer ECAD program for many years and think it is great – for the most part) but instead is pretty interesting if you are involved in PCB design. This is the most recently started podcast on this list. It comes from EETimes and is very professionally produced. The production quality is in my opinion both a good thing and potentially not so good since the polished surface may perhaps come at the expense of depth and nuts-and-bolts content. I enjoyed the five episodes that have come out so far, but the engineering-to-business ratio seems far lower on most or all episodes than it is for the other podcasts on this lists. The podcast seems to feature more of business/marketing content and guests than practical engineering topics and engineers/electronics designers. As of this writing, no new episode has come for more than ten months (last one was 180131). I really hope it will come back as I highly enjoyed the show, but will not hold my breath. “A podcast discussing the nuts and bolts of embedded electronics, the systems that use them, and the community that surrounds them.” Started in 2014 and hosted by Karl and Corey. Episodes often have a specific theme and occasionally features guests. This podcast recently came back from a five month hiatus and hopefully new episodes will continue to appear reasonably regularly. After increasingly infrequent episodes, this podcast has as of this writing not come out for more than six months (since June 2018). This podcast is only occasionally about electronics and more often about other aspects of engineering and being – or becoming – an engineer. It was co-founded in 2012 by Chris Gammell of The Amp Hour, but he left the program a few years ago. Today the show is hosted by the other co-founder Jeff Shelton (a mechanical engineer) as well as Adam (civil engineer), Brian (electrical engineer) and Carmen (also an electrical engineer). This podcast was started by Mentor Graphics in 2015. There was a long hiatus between 2016 and 2018 and no episodes have appeared since June 2018. It contains some useful information and insights for PCB layout designers, but also tends to push Mentor’s tools and brand. It distinctly feels like it is produced by the marketing department of a traditional company and a lot of the content is scripted. The spindle on my Taig CNC mill was getting uncomfortably hot after a few minutes of milling; especially at higher RPMs. 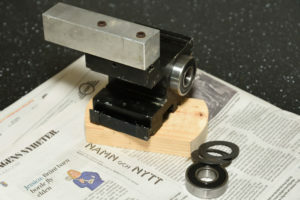 It ran smoothly and without any play, but with noticeable friction, so I decided to try to change the ball bearings. The bearings have the standard dimensions 17x40x12 mm (inner diameter x outer diameter x width) and this apparently is designated with the number 6203 in the ball bearing world. 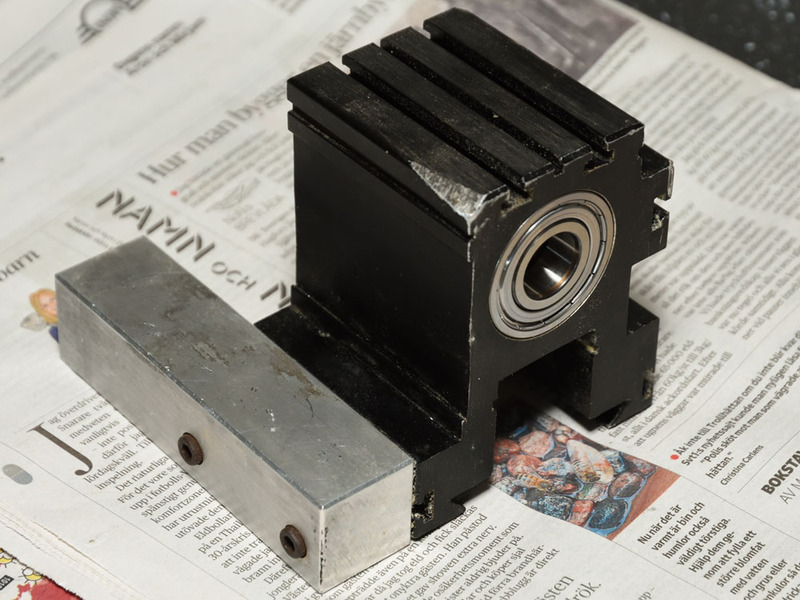 I am not a mechanical engineer and have little knowledge of the intricacies of ball bearings and it was also surprisingly hard to find a lot of good information online on how to select the proper bearings for the application. I wanted high quality to avoid having to change them soon again and I thought that dust covers would be a good idea to minimize the risk of chips getting into particularly the lower bearing. After some browsing of an online catalog (at kullagret.com, although there are countless others), I realized that there were plenty of options, even after selecting a particular well respected brand. 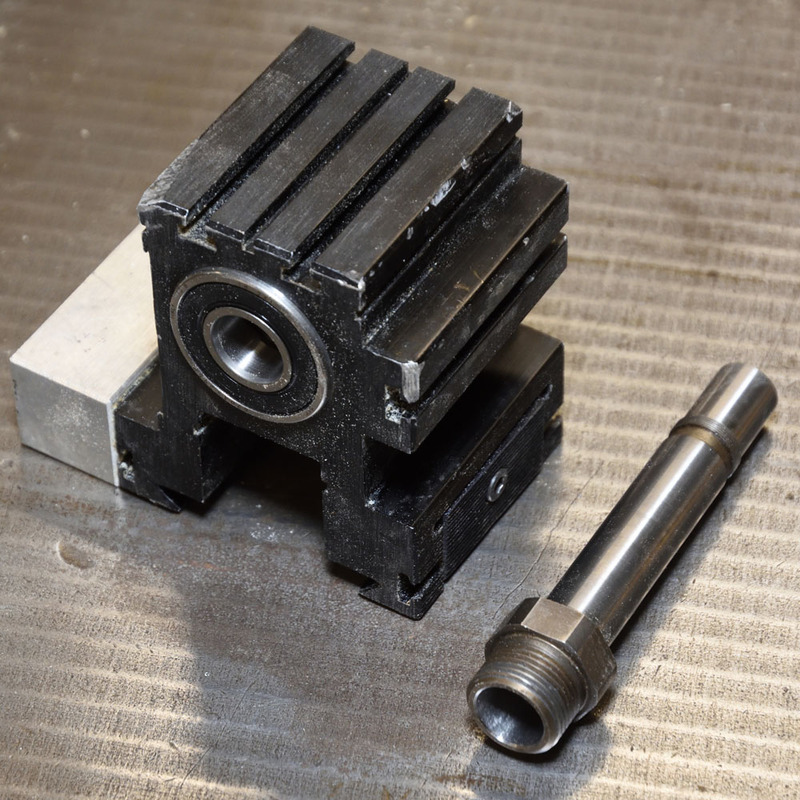 It was clear that deep groove bearings were required since they can handle axial loads as well as radial ones. Since rubber seals were slightly more expensive than metal shields, I thought they were superior and bought two SKF 6203-2RS bearings. This unfortunately turned out to be less than ideal. 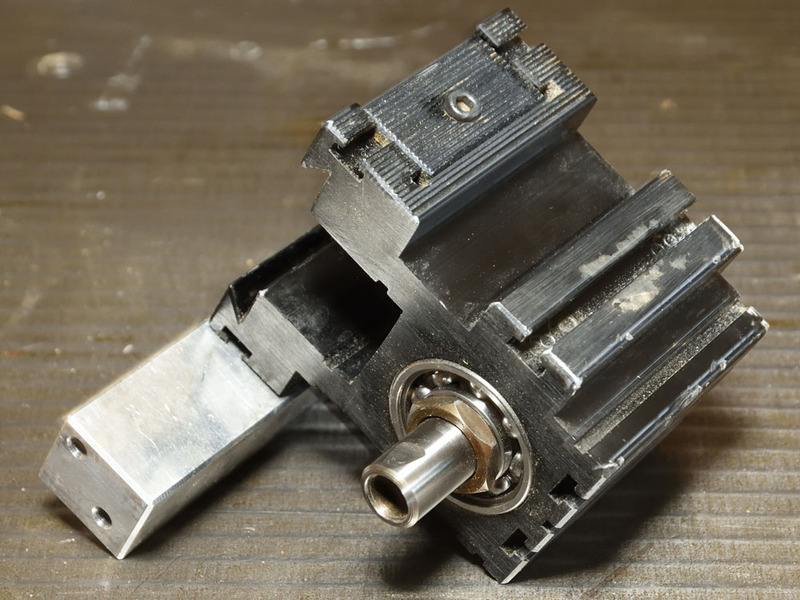 After replacing the bearings (the process I used is described below), it turned out that the spindle still rotated with quite a bit of friction. The rubber sealed bearings themselves did indeed have significant friction, which was concerning even before putting them into the spindle, but it became even worse after the assembly was done. 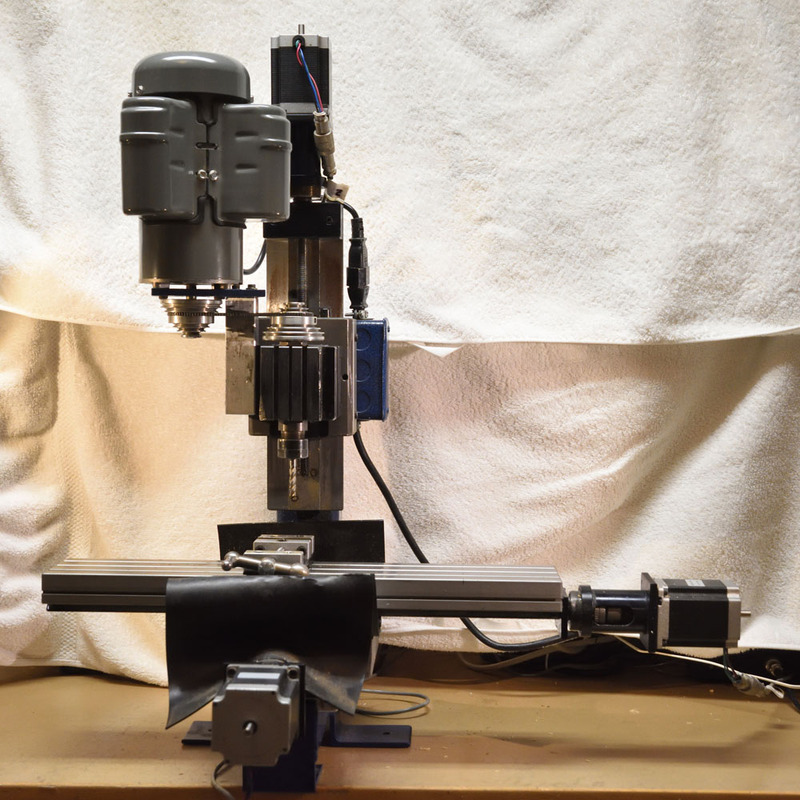 A quick test run revealed that the spindle got at least as hot as before and that the motor was almost not powerful enough to even run the unloaded spindle at full speed at the highest gear. I think part of the reason for the high friction was the rubber seals, but since it got even worse after assembly, I think there is also another part of it. It must be either that the bearings are put under radial stress in the spindle, compressing them tighter and thus causing them to run with higher friction, and/or that there is ever so little misalignment between the two bearings. So, back to the bearing catalog. 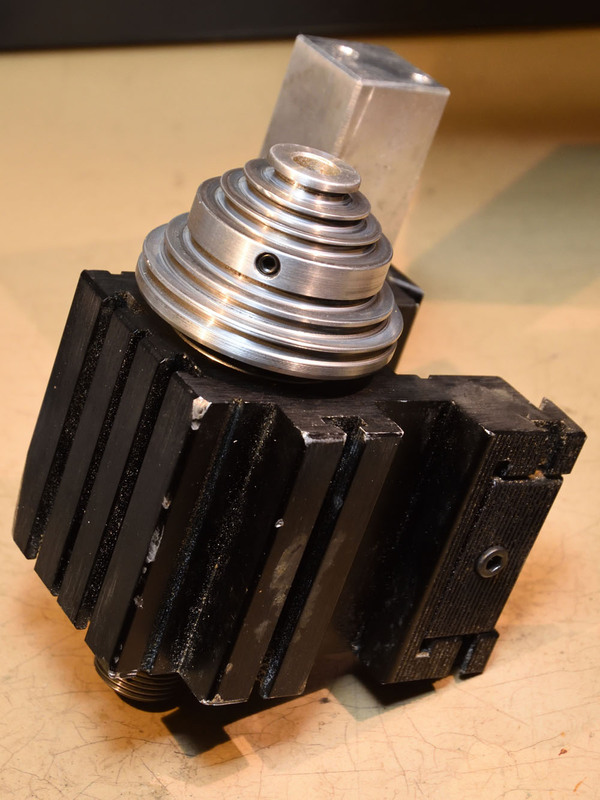 This time I tried to address both of the reasons for the high friction. I opted for bearings with a higher play, designated by the option C3. I also selected an unshielded bearing for the top one (6203/C3) – which will hopefully not be subjected to chips or other debris – and metal shields for the lower bearing (6203-2Z/C3). This worked much better and now the spindle runs smoothly with very little friction and no discernible play. Below is a description of how I replaced the bearings the second time. I first removed the spindle motor. 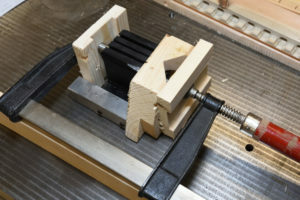 It is fastened only by two screws holding its mounting plate to the rest of the spindle. The spindle is secured to the Z-axis assembly by a single set screw holding on to a dove tail, so this was easy to remove. 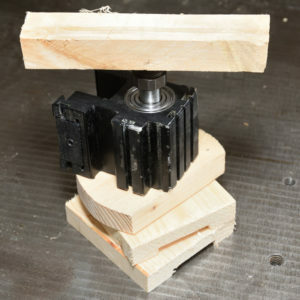 The pulley is secured by two set screws. I released them and gently applied some force to pull it off from the shaft. There probably are some good special tools for this, but I used two screwdrivers as levers. 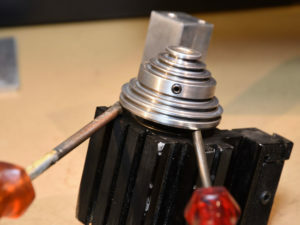 Under the pulley, there is a nut (with a very fine thread) that needs to be removed. I held on to the shaft by one wrench on the lower side while using another to loosen the nut. Now the shaft had to be pushed out of the bearings. This takes a lot of force. Maybe there is some trick that I am not aware of. Using a mallet to hammer it out might be one option, but I initially tried to be more gentle by using clamps (more than one was required to two get enough force) together with wooden blocks to avoid damaging the shaft. 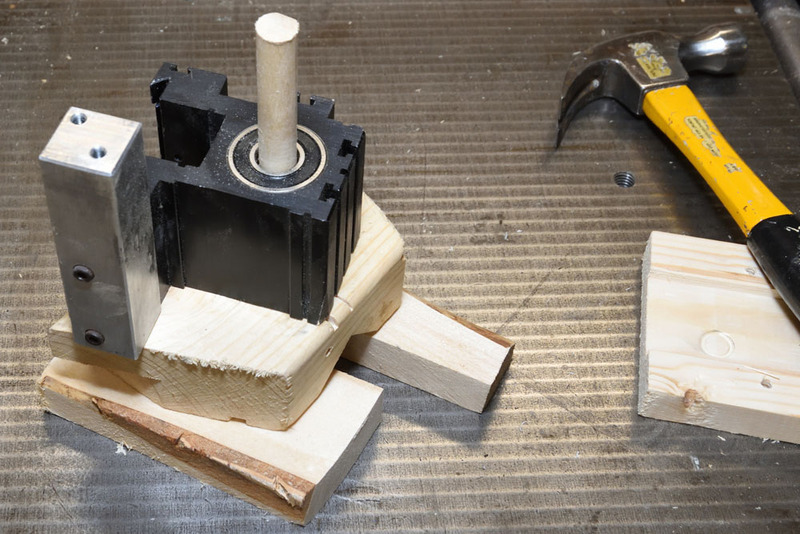 If I had had a gigantic vise with a wide enough mouth, that would probably have been a better option. Once the shaft was fully pushed into the top bearing, I resorted to hammering on a dowel at the end of it. The shaft has successfully been removed. The next step was to remove the bearings. Here I came up with an (in my opinion) clever method. 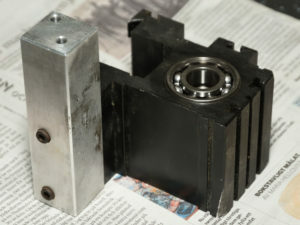 The housing is made of aluminum and the bearings are obviously made of steel. 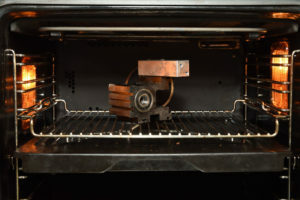 Aluminum expands a little more when it is heated than what steel does, so by heating the whole thing up by a few tens of degrees, it should be much easier to remove the bearings. So I set the kitchen oven to 60 C and let the spindle cook for an hour or so. This was even more effective than I had thought. The bearings more or less fell out by themselves. Bearings falling out of hot spindle. 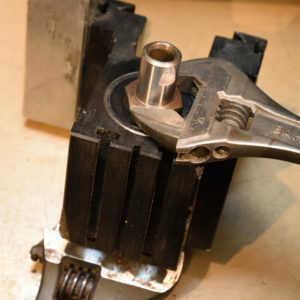 There were a few shims between the ends of the bearings and the spindle, probably to prevent the inner ring of the bearings to touch any part of the housing. Before the housing cooled down, I inserted the new bearings into it (together with the shims). Inserting the shaft into the new bearings was a bit hard. I probably should have heated up the new bearings before attempting this. Instead I lubricated the shaft a little (not sure this helped) and used force in the form of a hammer to hammer it in. Maybe this could harm the bearings due to the high axial load, but fortunately the spindle ran fine afterwards, so perhaps it was no big deal. 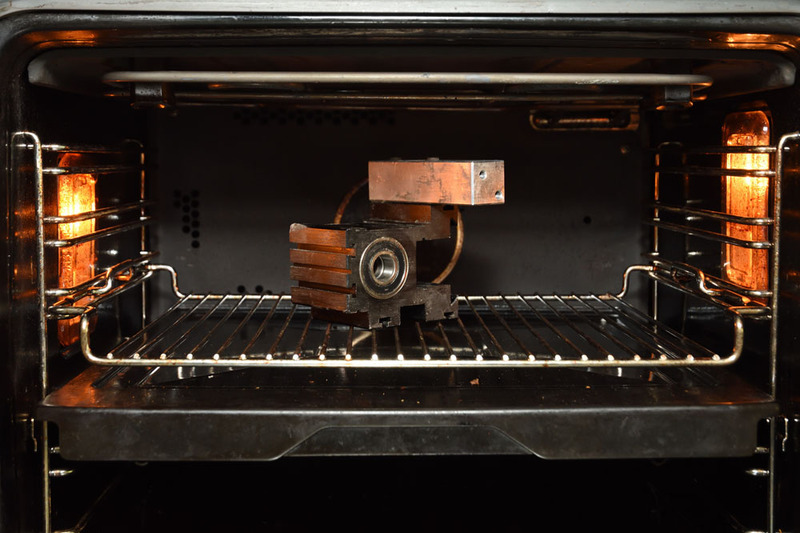 Next time I will probably heat the bearings (and perhaps even cool the shaft, although I am worried that might cause too much condensation and then rust) before trying to force it in. 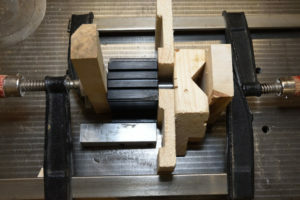 After making sure the shaft turned smoothly with little friction and with no discernible play, I replaced the nut (not tightening it very hard as that increased friction), added the pulley and then put the whole thing back onto the mill. So despite the unnecessary set of sealed bearings I bought and having to do it all twice, I am pretty happy with the bearing replacement. 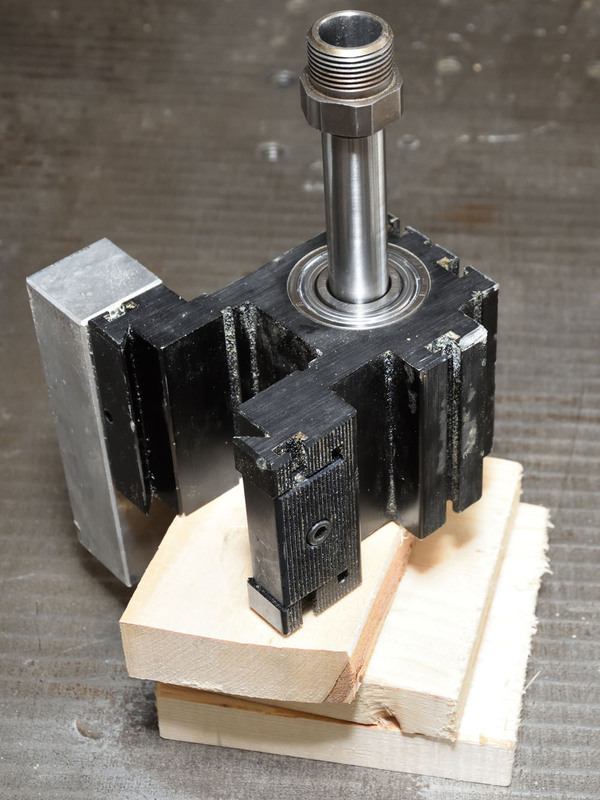 Now the mill runs fine without the spindle getting hot, even after long runs at maximum RPM. resolved the issue. I have no idea what the purpose of this shortcut is and it seems pretty stupid, but it is good to know about it if it happens again.